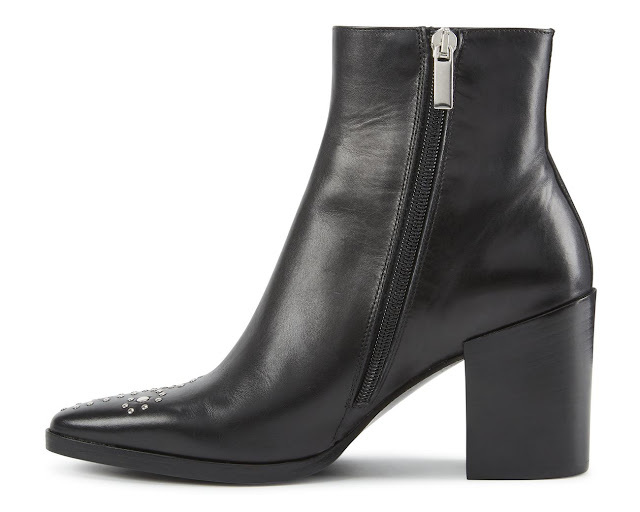 Quite often if I'm doing a post about a particular item, I try and include at least a couple of alternatives but on this occasion I'm just sticking to these boots, as I really love them. But you know me - the odd alternative is bound to creep in! For a few years now I've been after some boots with a bit of detail on them. 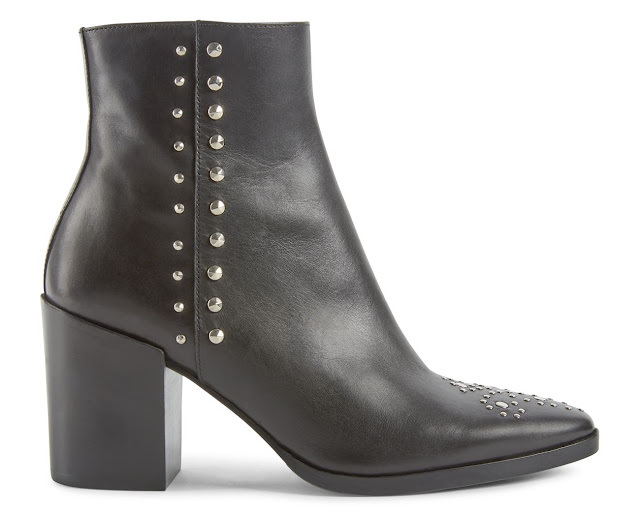 Of course the Chloe Susanna's (£850) started it all off several years ago now and you know, if my legs looked like this in them then maybe I could be tempted (well, aside from the price tag that is) but they don't. So we need consider that particular issue no further. 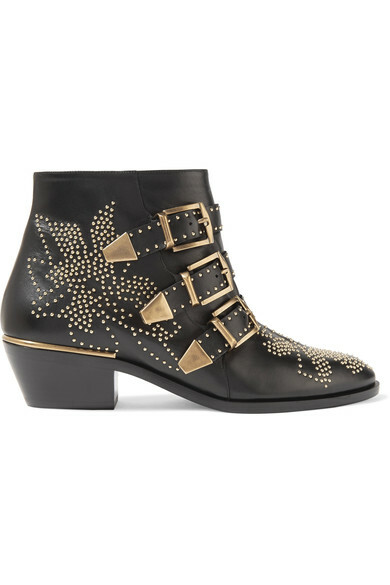 The other problem that I have with these is that the heel slopes in a little too much and there are just a few too many buckles on them and they are slightly too bling. Lovely on others but I just feel a bit heavy legged and a bit like Adam Ant. "Stand and deliver oh, oh your money or your life....."
OK, so having digressed and having gone off at a totally random tangent, I'm coming back to the style I was considering initially - and offering an alternative in the form of the Dune Queenie House of Fraser (£104 instead of £130). Now I tried these too - how handy is it that Jones and Dune are right next door? But for me, the Jones ones just pipped the Dune ones. To be honest it was all about where they finished on my legs (in relation to my veins). I kid you not! But coming back to the Jones Nala boots, here are two more shots. I don't think that I've really articulated what it is that I like about them so in a nutshell - firstly, they make me feel taller (that could well be the heel) second the block heel balances out my legs better, third they are a little pointy which feels quite elegant, fourth they make me feel much cooler than I actually am because they have studs and stuff and fifth, they are really soft leather with a soft leather lining. I'm sure that there are many similar ones out there but these just give an idea. Ooooh well that was all a bit of a crazy all over the post wasn't it? It must be something to do with Halloween. It's been a while. Well, all of two months. 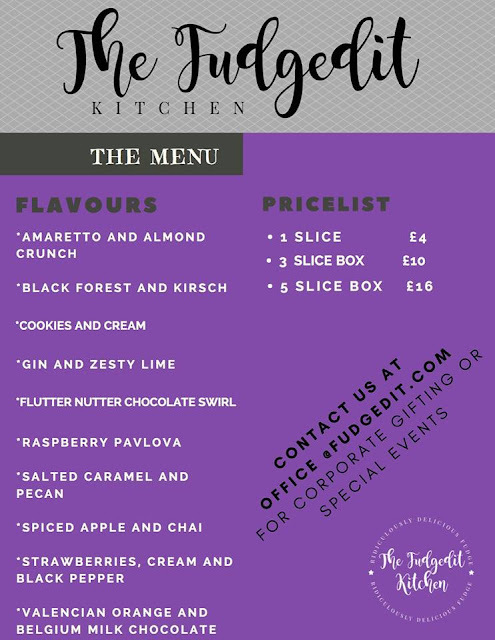 But I'm holding a Christmas Pop Up, at home, on Friday 24th November and I would so love it if you could come along. I really enjoy these events as it gives us a chance to get together, to have a chat and a cup of tea and an opportunity to browse. There is absolutely no pressure for anyone to buy anything. Small and growing brands love to visit new areas, to meet different people, to create brand awareness and to offer advice and words of wisdom too. It's very much a collaborative approach so if you would like to pop in, just email me at mail@bethgoodrham.com or DM me via Insta @bethgoodrham_stylist and I'll let you have my address. And of course to those who came last time....I would love to see you all again! 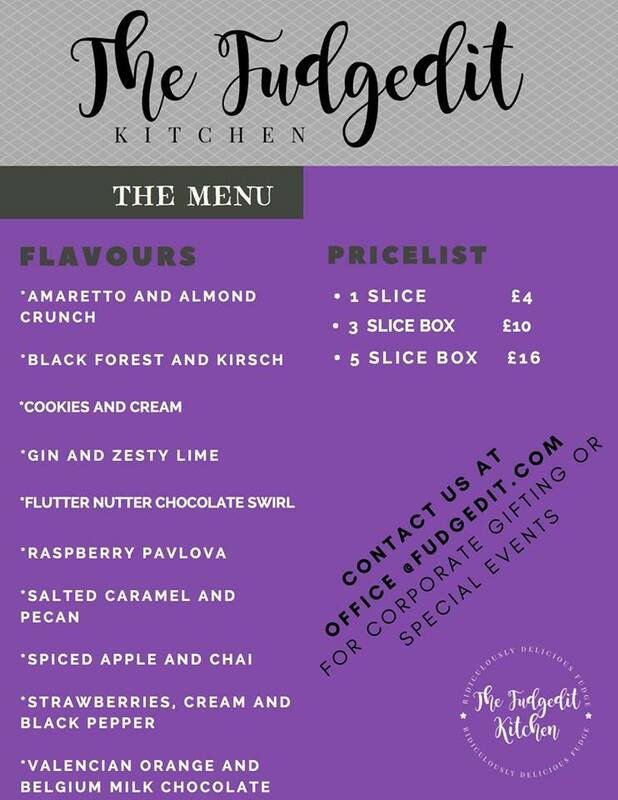 So, who's going to be popping along to the pop up this time? I'm delighted that Miranda Dunn London designer of the "Happy Coat" will be here with her beautiful faux fur coats in all their soft, coloured, initialled and personalised glory. This is the gorgeous Chloe, from Chloe Loves To Shop who models for Miranda. 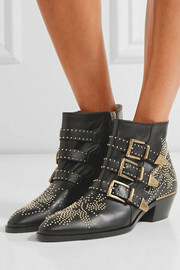 I seriously can't wait to try them on. They look amazing and no doubt they feel it too. Navy with a pink star? Now we're talking. Do come along for a try on - or a stroke! 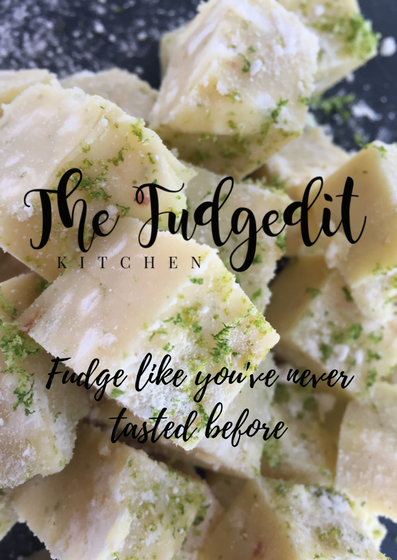 Most of the Fudge is gluten free (now there's a good excuse if ever one was needed) and all of it is free from artificial colours and flavours PLUS the fudge can be delivered to wherever you are in the UK. As you can see, this isn't just any old fudge! 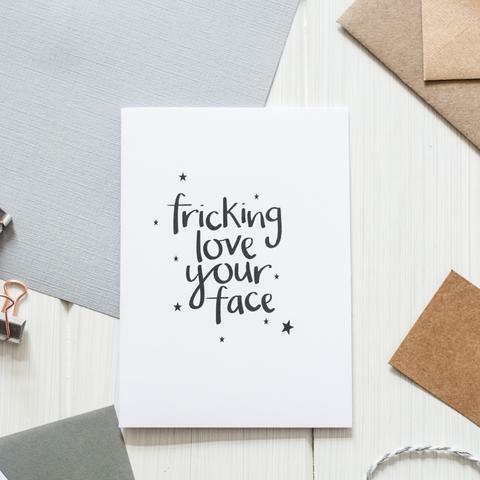 Then we have Nat from the Norm who not only designed the great artwork for both of the Pop Ups but she also runs a lettering design business where she produces cards, prints and mugs which make gorgeous gifts. 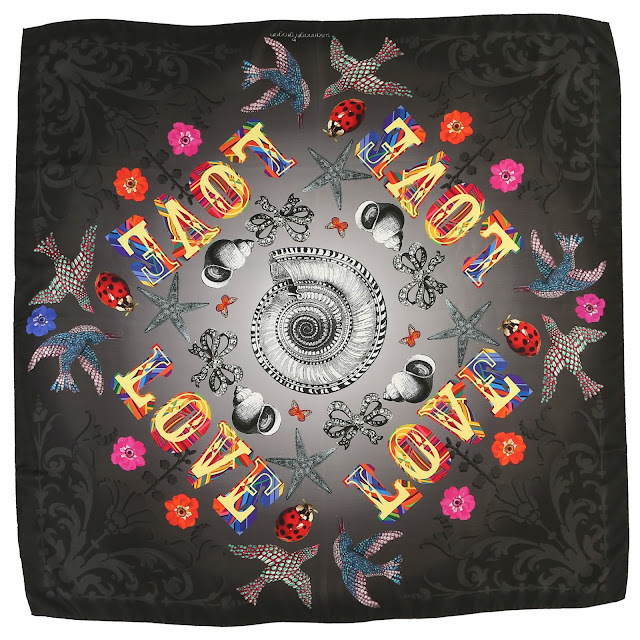 Nat's philosophy is to make pieces that are inspirational and motivational whilst promoting a message of kindness, with fun added into the mix. For those who came last time, you will probably remember Nat from Avie & Oak, as she was here with her husband. Nat is able to make pieces to order and will be bring along her Christmas cards too, which I know for me will be super handy. 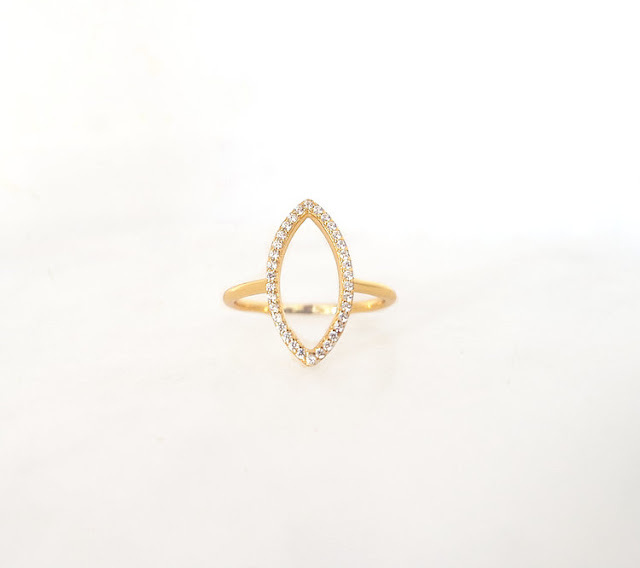 We also have Kaaren Buchanan coming along with her wonderful jewellery. 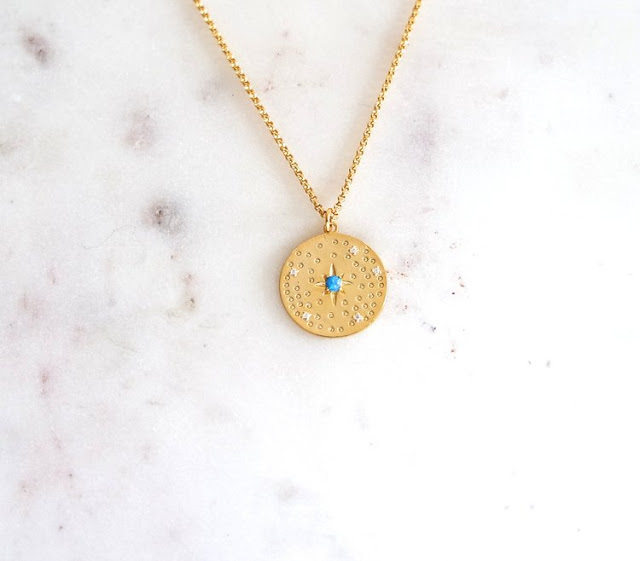 Kaaren has a really interesting back story in that for ten years she was a model, during which time she travelled all over the world, where she saw beautiful jewellery. When her modelling career finished, designing jewellery was the next logical step for her. 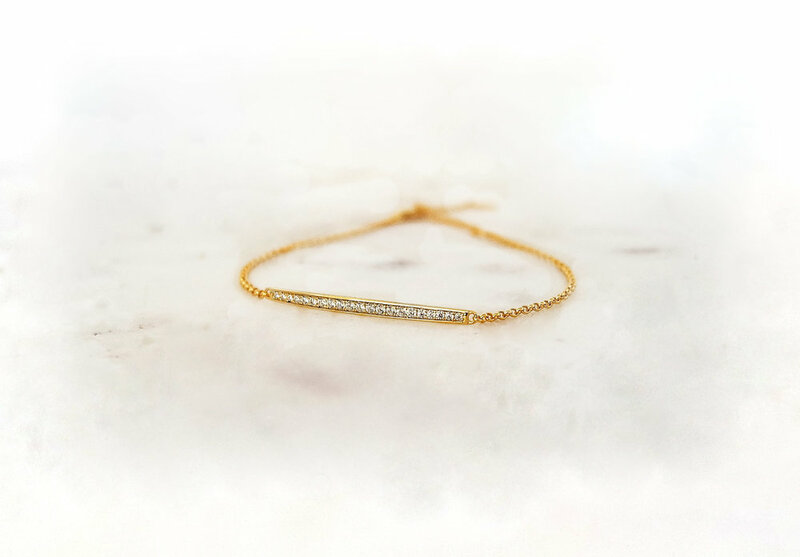 Kaaren uses semi-precious stones such as lapis, zircon and opals along with silver and gold to keep her prices affordable whilst still offering a touch of luxury. I don't think that Kaaren will mind too much if we ask her the odd model related question. Or the odd 5,000 in my case. I love a good back story. 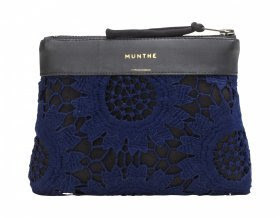 Or this Munthe Minnie bag (£39) which has a lovely texture to it and would be perfect for Christmas parties. Way back in the summer I was contacted by a PR Company who look after a brand called FrezyDerm. What I gleaned from that initial email was that FrezyDerm is a Greek Company with a 30 year history. They specialise in skincare with products for acne, eczema and psoriasis as well as making sun protection products. I was asked whether I would like to try their "Moisturising Rich Cream" and I think that I was probably asked because I looked as if I would benefit from using some "intense hydrating mature cream". As our (soon to be) 16 year old son would say: "Fairs." All that I was asked for in return for the moisturiser was a 100% honest review of the product, whether it be after a few uses, a week or a month. And if there was anything negative that I had to say then they were interested in that too. I have to say, that kind of appealed to me. When I first posted about the cream on Instagram, it seemed from the comments that I received that the sun protection had a bit of a cult following, particularly the Sun Screen Velvet Face SPF 50 + People seemed delighted that they could now get it in the UK rather than just in Greece. Having read the reviews in the Times, and Sunday Times Style Magazine, I can see why it may be so popular. 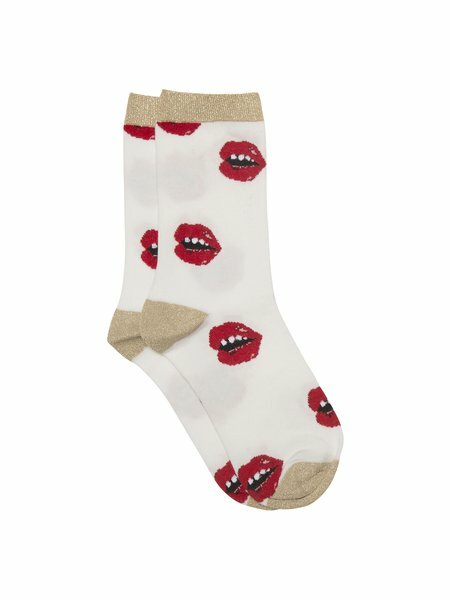 As to my experience of the product? Well the proof absolutely has to be in the fact that when the cream ran out, I bought one of my own as I really missed it. So then I tried to work out what it was about it that was so good? Well I first started using it when we went to Greece in the summer. 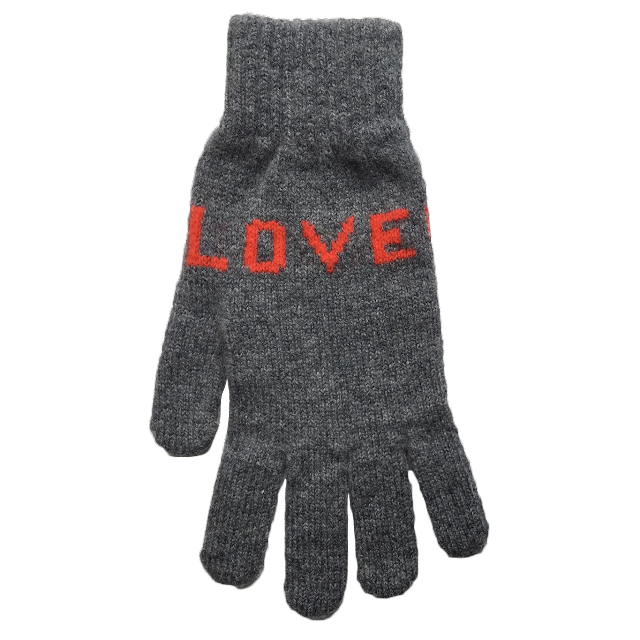 Somehow given the brand's heritage, it seemed apt. At first I wasn't entirely sure. I'm not great with smells and it initially felt as though it may make me feel a bit funny but I very quickly got used to it - had I not, I would have had to return it. I like that it's substantial but not thick and greasy, plus I can put my make up on pretty much straight after using it. And more to the point, I like how it makes my skin feel. 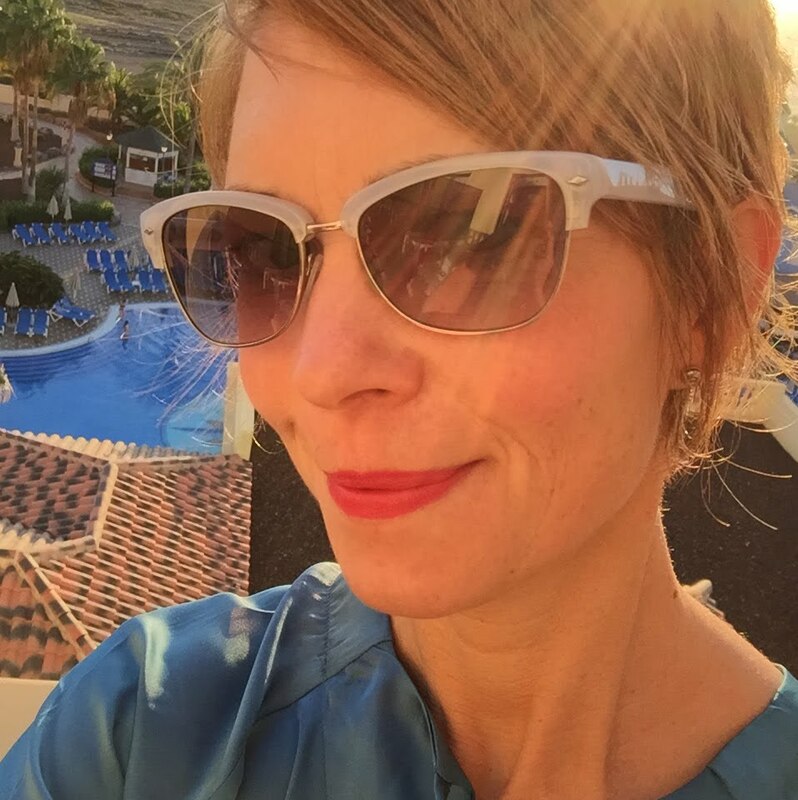 At my age I'm never really going to be glowing and wrinkle free, so I'm happy to aim for smooth, non blotchy, non spotty and soft - and given that it seems to deliver on all of those fronts, I'm very happy. Oh and I like the fact that it has a dermatological leaning. 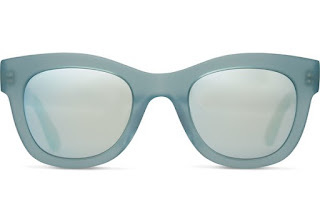 As to the price, it's not so crazy that I wonder whether all that I'm really paying for is some fancy packaging, a huge marketing campaign and the cost of renting a space in a high end department store. Again as our son would say "Fairs." The product that I tried was free from parabens and the products aren't tested on animals. Here's a link to the active ingredients in the Hydrating Cream. FrezyDerm's aim was to design, produce and market dermatological products which conform to strict pharmaceutical standards. Whilst initially they were to be marketed to dermatologists, in 2016 Frezy Derm created a sales department and the products are now stocked in more than 200 pharmacies across the UK. On Feefo the hydrating cream has three reviews sand each of them are five stars. True, two of them just say the word "excellent" and one of them is, I think, written in Greek - but they are definitely positive. "The rich face and neck cream provides intensive hydration to dry and dehydrated mature skin. 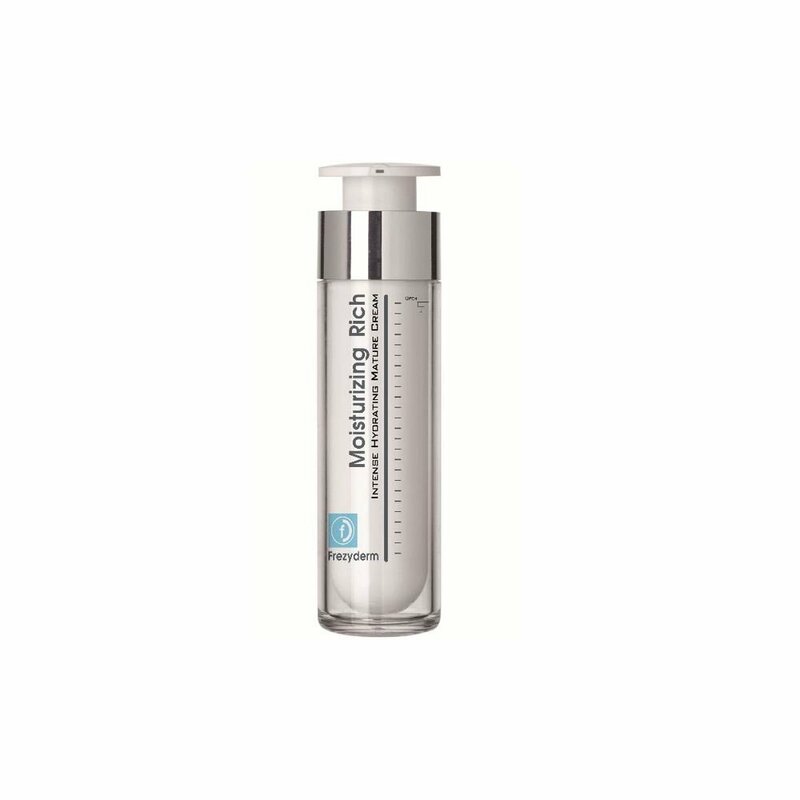 Daily use strengthens and improves skin structure increasing the density and tone of thin, fragile skin and preventing wrinkles. This fast working cream immediately provides deep and long-lasting hydration without residue. Its non-oily texture leaves the skin looking and feeling smooth, supple and ready for make-up. 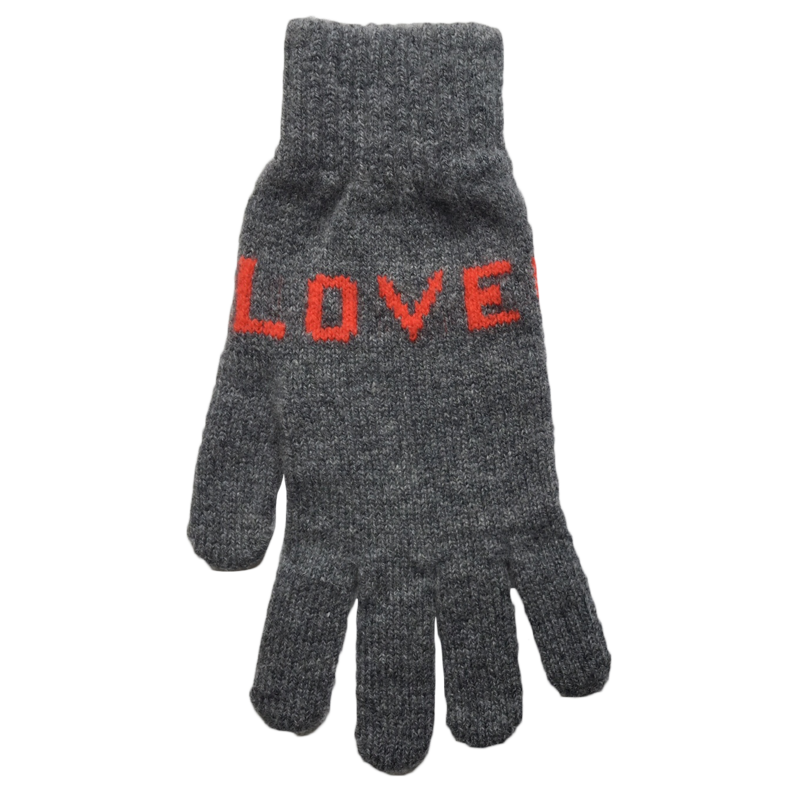 It is instantly absorbed." The Awards and Certifications Page on the site makes for an interesting read and seems very impressive. Obviously I am no skin care expert so I can only comment as I find. Everyone's experiences may well be different but I personally I found this to be a great product. 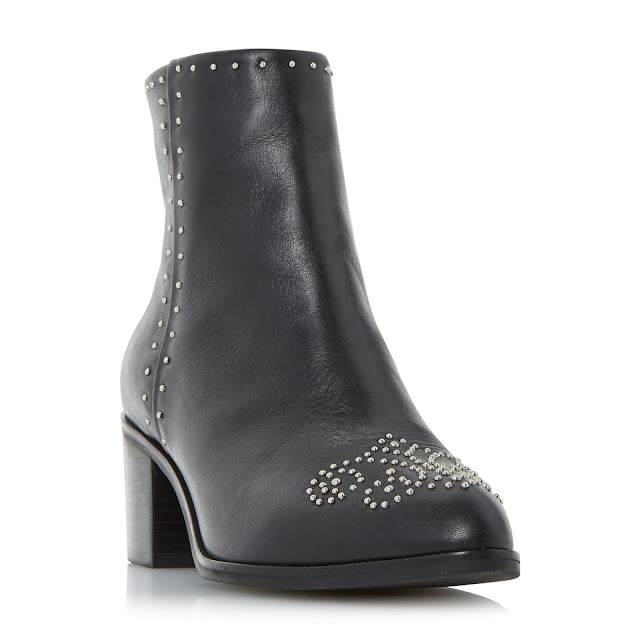 A new Winter coat can create excitement like very little else - apart from perhaps a new pair of Winter boots. They can vary from the uber practical to the uber trendy, from work coats to workhorse coats. Coats that make you smile, that are bright, furry, leather, striped or printed are all there for the taking - and some come with a rather large price tag. Some that are less expensive can last for years or barely a week, before revealing their true bobbly selves. Coats are often a hot topic for discussion in the fashion press and it can get quite political and sometimes a little personal. Some insist that one should make one's selection in August and pay a hefty price tag for an "investment piece" that will last us a lifetime. I'm never totally convinced by this argument, on the basis that the following August the same debate will be had once again. I kept coming back to this pink boucle cocoon coat (£75), which actually looks better in the flesh. It's a lovely shade of pink which is broken up with the marl effect. And it's just that little bit different. I may just have come away with this coat. First of all I adored the colour and honestly, if you want to make your waist look small, try this little number on. It's all to do with proportions and the width of the sleeves but it works - and it felt beautiful when it was on. It's lined, has a good weight to it and had I not known otherwise, I could have easily thought that it cost nearer to £300 than £100. 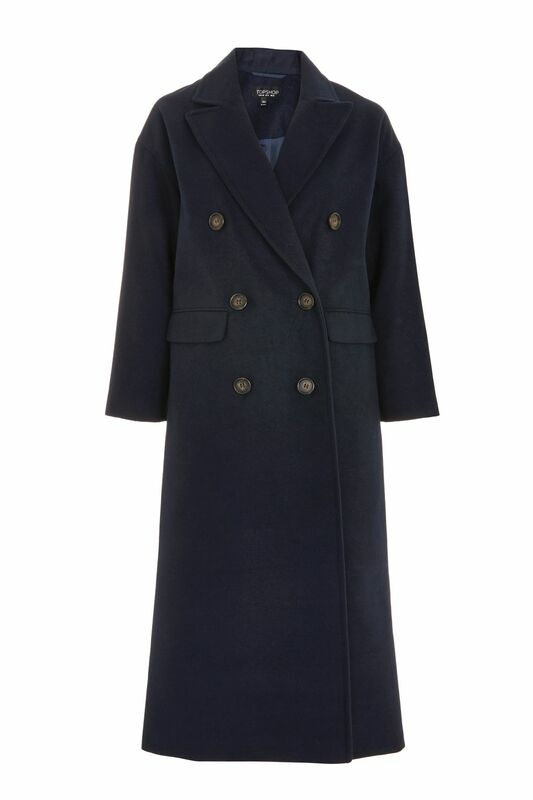 For those interested, this is the clean mutton sleeve coat (£75). 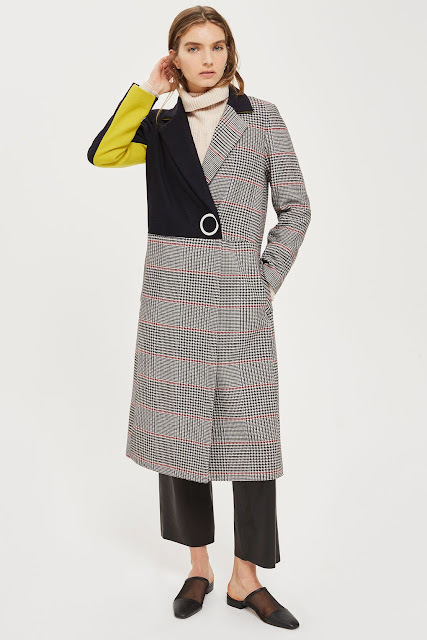 Now I didn't actually see this coat in the flesh but I do love a double faced coat (£95). 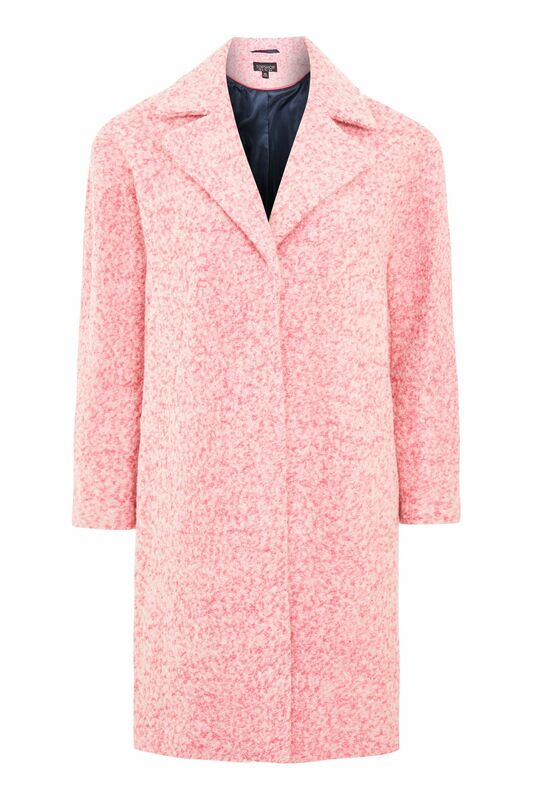 The cheeky pink peeping through is fresh and modern and whilst the coat doesn't look oversized, it's not overly tailored either so it's a little less formal than some....whilst still being smart. Are you with me?! 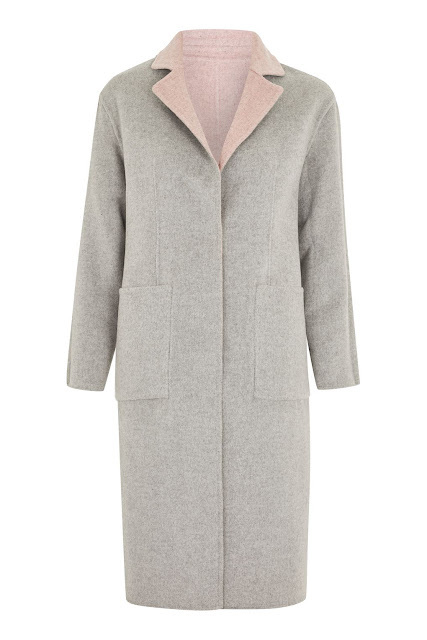 But then for something more classic, there's the double breasted slouch coat (£75). 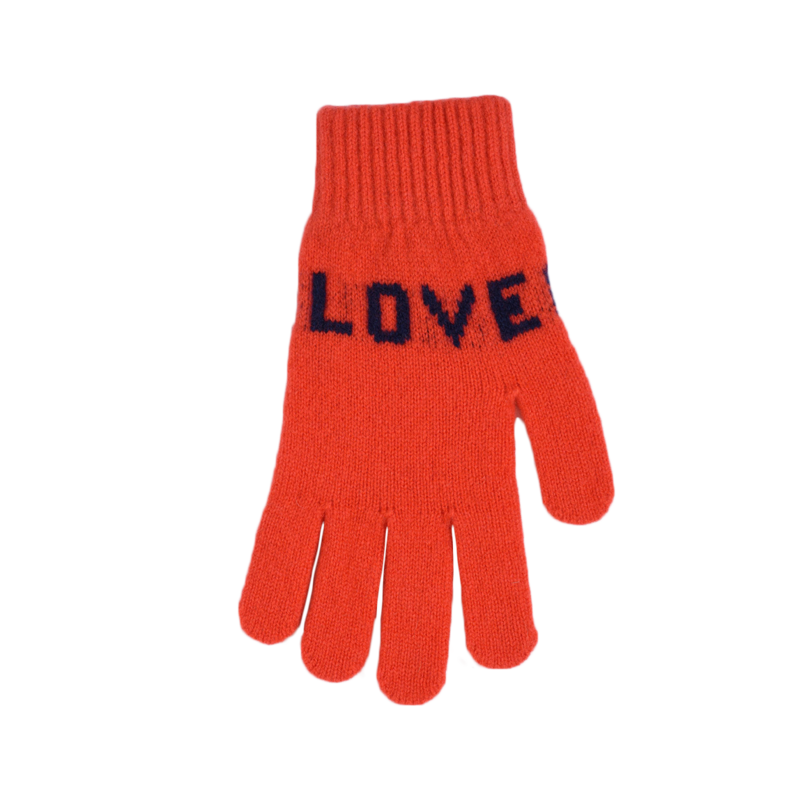 It's slightly oversized and a little bit mannish but it works just as well with jeans and trainers as it does with a smarter work outfit. 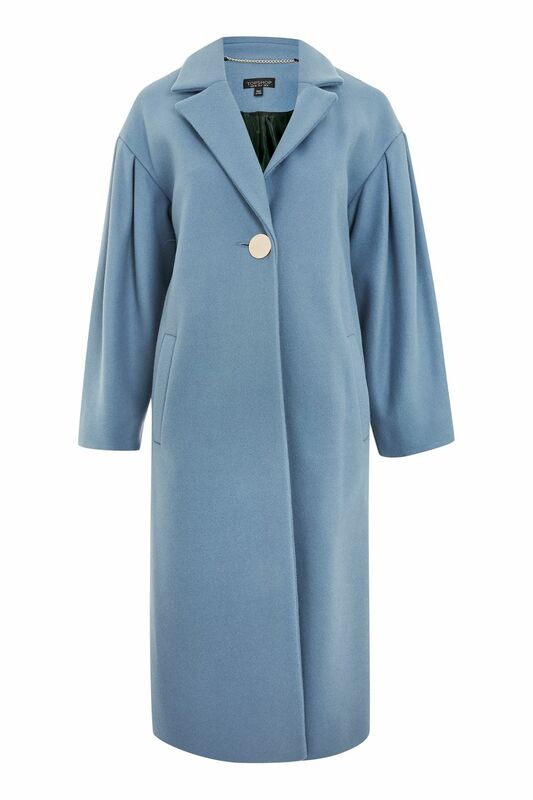 So if you're in the market for a coat update but you don't want to break the bank - whilst of course still acknowledging that £100 is not an insignificant amount to spend on a coat - then it might be worth taking a stroll down to Topshop. Also I couldn't resist including some shoes. 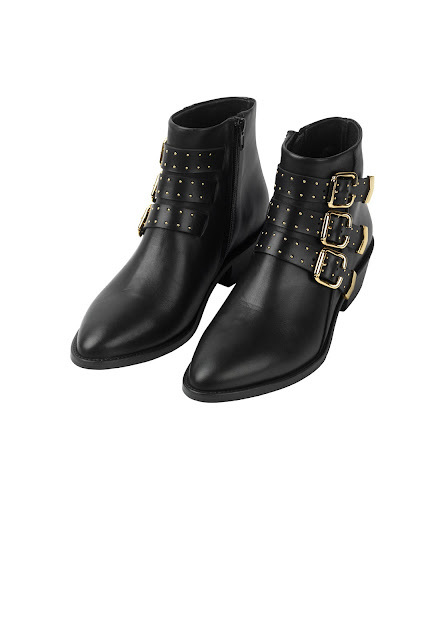 These sooooo grabbed my attention. Blue, velvet, flat and with stars adorning the ankle straps. They're so pretty. 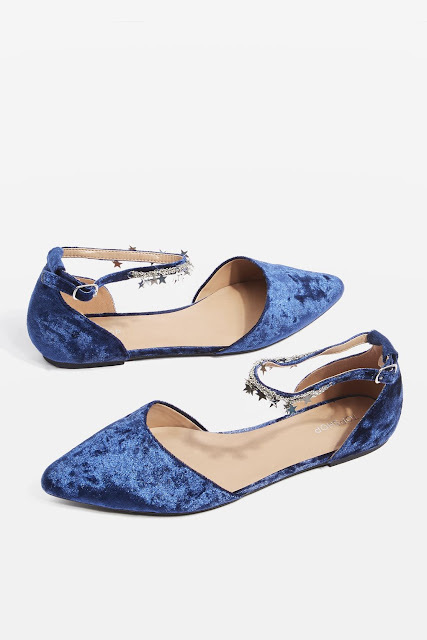 These are the Ariel chain pointed flats (£29) and they're a great alternative for a going out/Christmas Day shoe, if heels aren't for you. 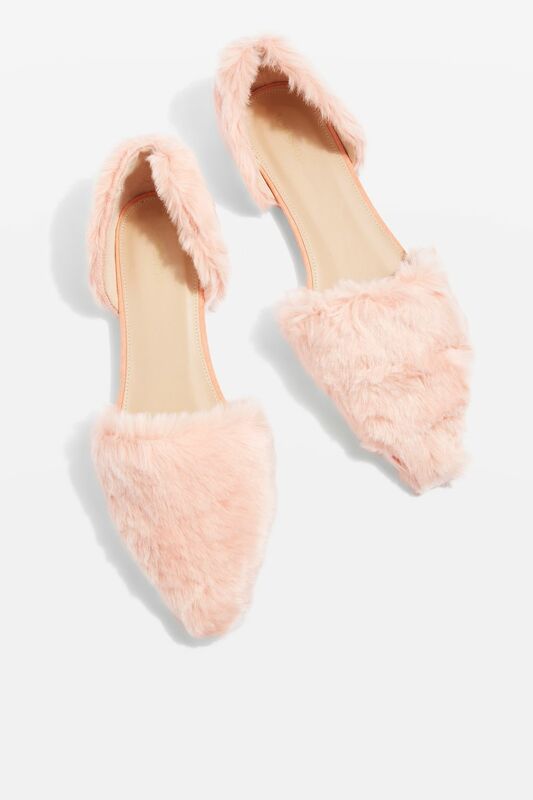 And for something slightly crazy and a little fun, there are the Ali faux fur flats (£26). Whether you're someone who smiles at these, or rolls their eyes at them, they definitely bring about a reaction. With Karen, from Travelling Bazaar, at the end of a very busy evening. 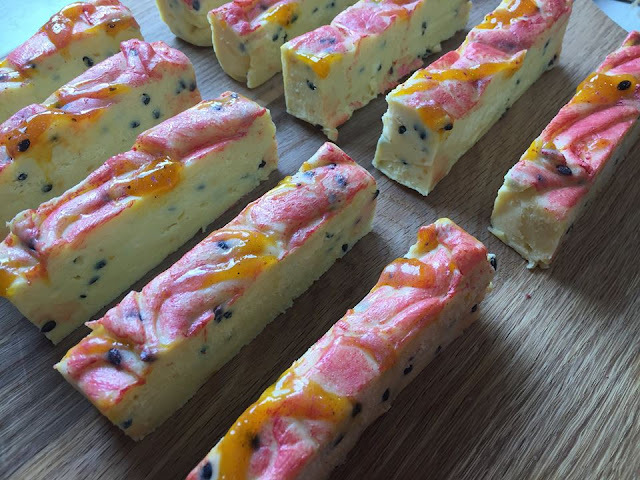 Travelling Bazaar is a gorgeous boutique owned by Karen and Nicky. It is situated in Farnham, Surrey and behind its tiny doorway lies a beautiful shopping and lifestyle experience with a collection of pieces curated from Scandinavia, Japan and Southern Europe. Karen and Nicky offer their loyal clients, and new ladies alike, a warm welcome and a chance to browse and try on pieces from fabulous brands such as Aigle, Ilse Jacobsen, Sorel, Second Female and Munthe. A few weeks ago now I was invited by Nicky and Karen to host an in-store event. Earlier in the afternoon I edited the collection, creating a number of outfits for an imaginary Winter weekend away in Norway. There was an outfit for travelling in, one for a trip to a Norwegian Market, an outfit for brunch, one for dinner out and another for a Wintery walk. The evening started off with cocktails, followed by shopping, my presentation and then further shopping. The boutique was buzzing with lots of ladies having fun and chatting. And I got to play shop assistant for the night - as well as stylist - something that I've always loved! 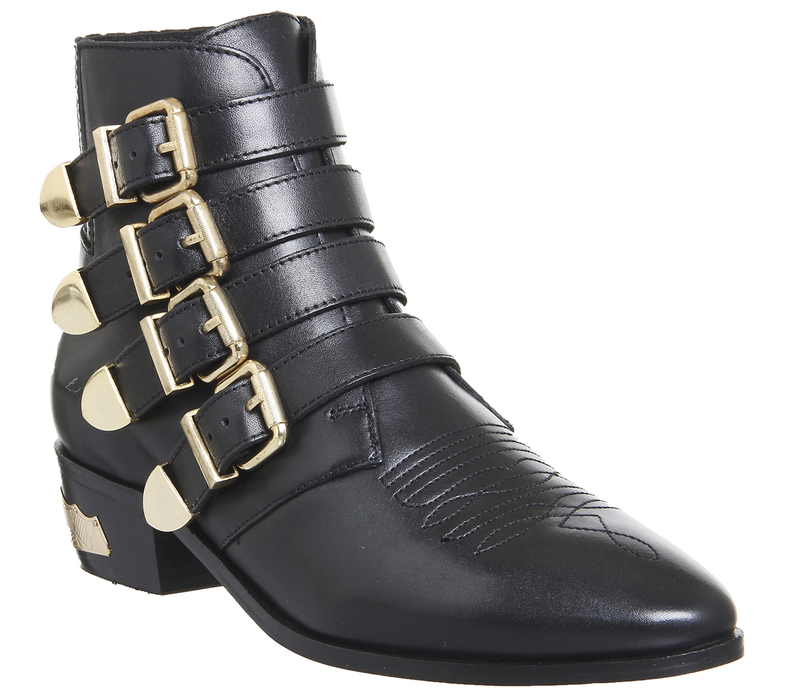 I just adore these boots. The colour is fabulous! 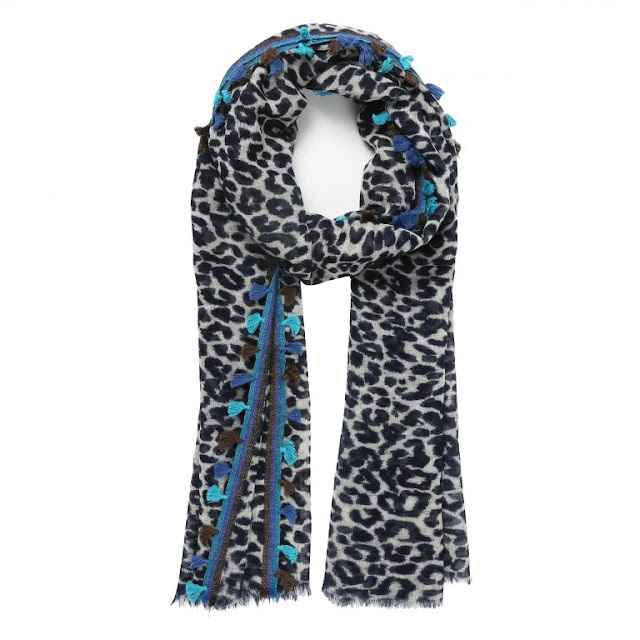 For me the boutique is best described as every day luxury - it's about country living, walking the dog, watching the kids play rugby, dashing here there and everywhere in stylish wellies, cool trainers, a gorgeous jumper, an edgy piece of jewellery, all whilst keeping warm and dry. I love the colours and clean lines of this rail, which is so typical of the boutique. Chunky and fine knit jumpers with pretty tops shot with gold fill the rails, alongside checked shirts and puffa jackets for the everyday. And the Woden trainers, which come in a variety of different prints, are great for adding some interest and texture to a winter outfit. The style of them is a little more "1980s Reebok" than some of the Adidas tennis style trainers which are around at the moment, meaning that they will hold a particular appeal to some. I love the styling of the store, from the simple clean lines of the Scandi aesthetic above....(I'd love to display my own clothes like this....ermmm, not likely! )....to the slightly more layered, textured approach, below. And the great thing is that Nicky and Karen will be bringing along a carefully selected edit of their gorgeous boutique to the next pop up that I'm holding at home on Friday 24th November (details to follow soon) so if you're not able to get to Farnham, please do come to Birmingham for the best of the rest! 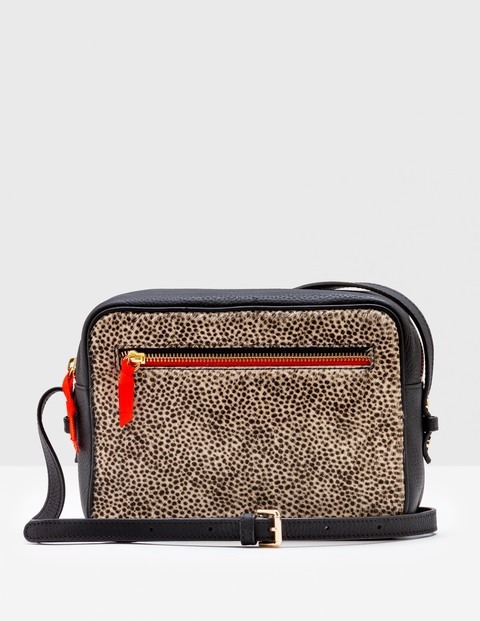 The thing that really works about this bag is that it has two compartments to it, which means that it's big enough for a purse, credit card holder, keys, lipstick, phone AND some spare plastic bags for my bits and bobs. And that's all it needs to be capable of carrying, making it perfect. Oh and of course having two hands free and not having to keep hoiking your bag onto your shoulder is also a real bonus. 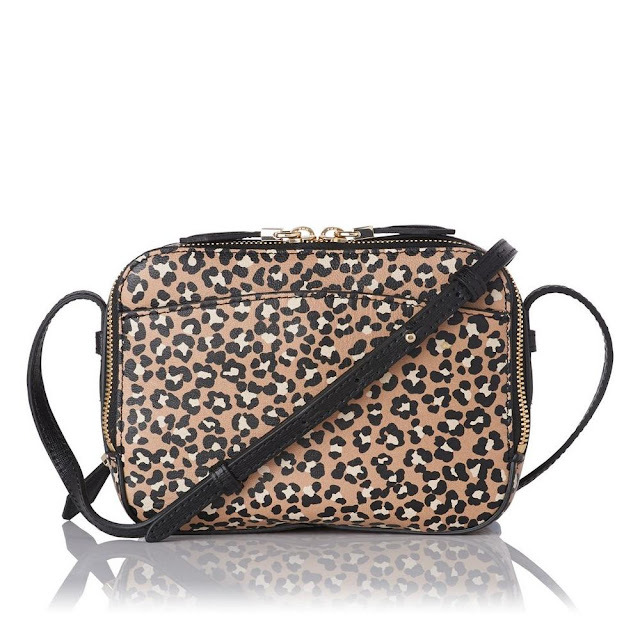 This is this season Mariel bag from LK Bennett (£175), which comes in animal print, black studded, grey, red, black, oxblood and there's a sunshine yellow one for £77. 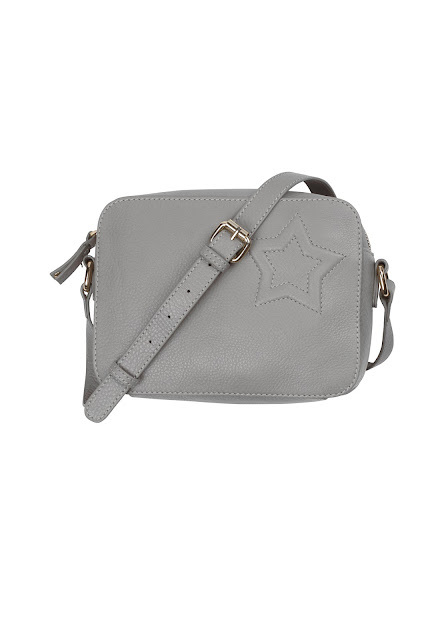 Another of my favourites is the Fifi bag from Hush (£99), which comes in grey and black. It's width from front to back is substantial so although it doesn't have the two separate compartments, it can still hold plenty. And (predictably) I love the star. The Wren cross body bag from Jigsaw (£99) comes in navy, black, Nordic orange and wine. It's a real gem and again has the two separate compartments gig going on. I like the idea of a small bag - it's chic and elegant and makes it look as though I have my schizzle together. Plus I can't gather too much rubbish in a small bag so it makes me keep on top of my receipt/tissue/chocolate wrapper game. Is that possibly one of the best (or worst) excuses ever for a purchase?! 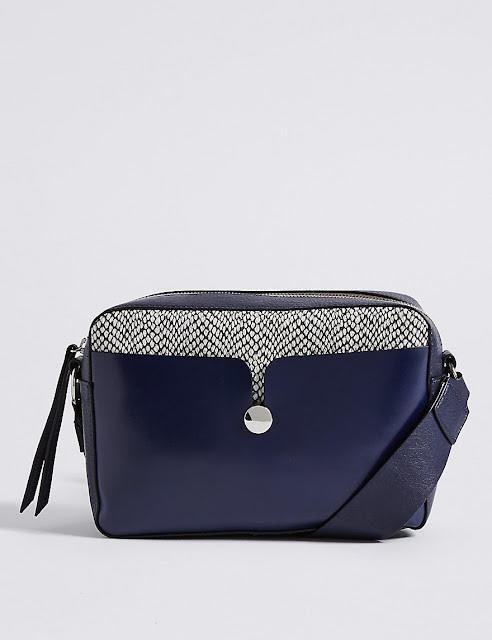 The Esme camera bag from Mint Velvet (£109) also made it onto my list. Obviously the Gucci one would too, but for it's price tag - but this would do nicely instead. I love the studded tassel which is just a little bit rock chick. 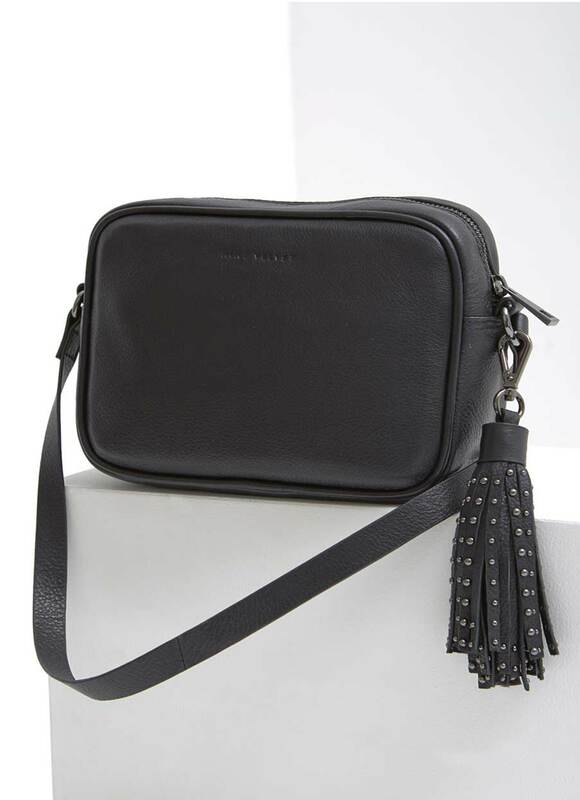 But of course it would be easy enough to find a tassel and put it on a similar bag to create the same look. 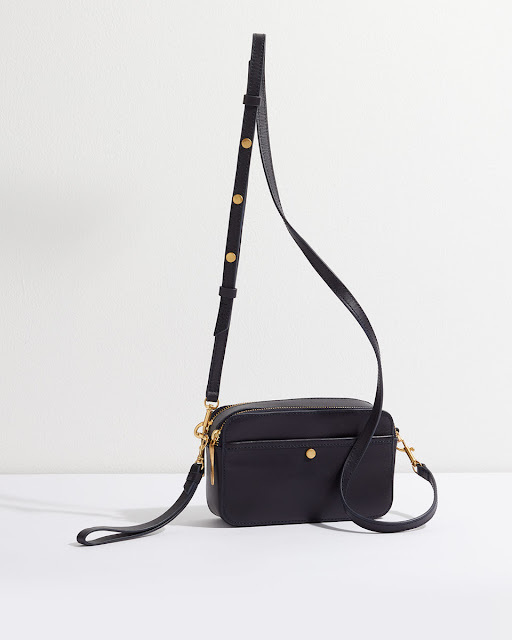 For a relatively inexpensive option, there's the M&S faux leather cross body bag (£29.50). I love the mixture of navy and black with the silver hardware and it's a great place to start for anyone who feels that a more streamlined bag maybe a little too "studio flat" for them, rather than their usual mansion style bag. And of course we might expect Boden to be in on the act, which they are with this Lyon cross body bag (Boden £77 to £110). The great thing is that it is available in five colours, so there should be something for everyone. Oh and just by way of an update, thank you so much to everyone for your marathon good luck wishes and also for responding to my last post. I will get back to you soon, I promise! I came in with a respectable (but not fantastic) time of 4:10. The first 19/20 miles were great and I loved them but the last 6/7 weren't a particularly pleasant experience. It wasn't that I hit the wall, or that I hadn't hydrated well enough, or that I was in pain. It's just a flipping long way, my music was a bit rubbish by then, there weren't that many people and I'd had enough. Plus it was a really hilly course. And whoever thought that it was a good idea to put in a steep hill at mile 25 was an absolute numpty. I'm three toe nails down with a slightly sore hip (which didn't start until about Wednesday) but oddly my back and my slightly sore hamstring stood the test and feel much better for it. Isn't the body a weird thing?! 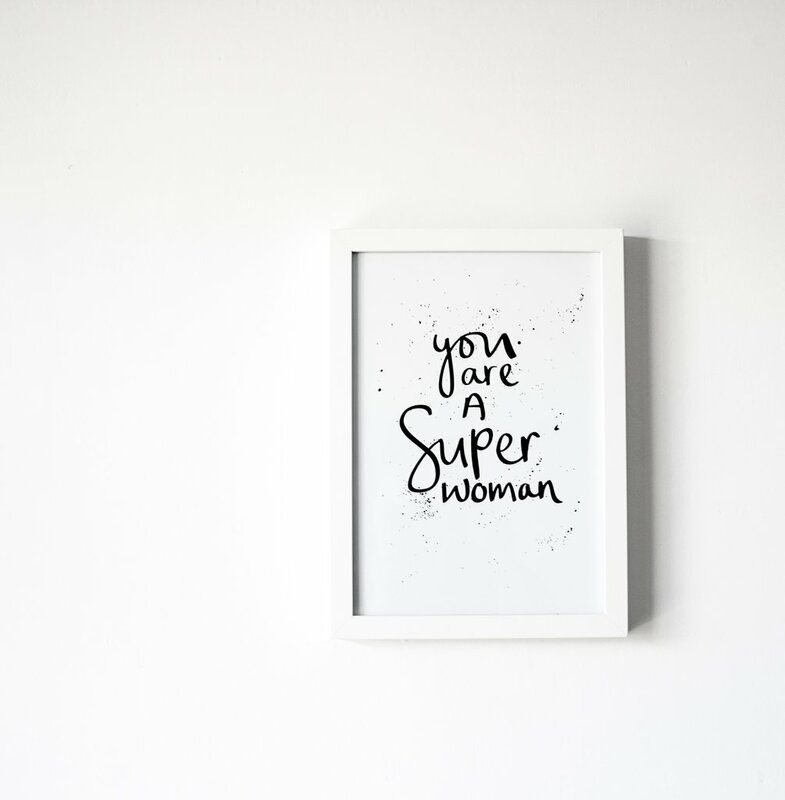 So thank you again - and to my lovely friends and family plus anyone else who came out to support - it makes such a difference, especially when you've resorted to counting the white lines down the middle of the road to make sure that you keep putting one foot in front of the other! The faux leather skinnies post!